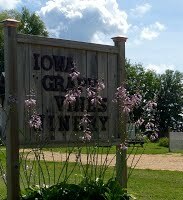 Wine, Root beer, Wine & Root beer Jellies, Cashew Brittle, Gift Certificates (Iowa Grape Vines Winery & Caves Road Detailing) plus more. Buy 3 or more bottles of wine & get $1. Off each bottle.